Baku 2015. The Inaugural European Games - Selection of Technical Officials. ETU recently sent a call out inviting National Federations to submit nominations for the positions of Technical Officials at the Inaugural European games in Baku. The ETU Technical Committee, chaired by Jorge Garcia (ESP) who is also one of the two Technical Delegates at the Games sent out early Christmas presents for those selected. A total of 21 federations sent in nominations. Of those officials nominated, 24 officials were Level 3 and Level 2. This is a clear signal of the depth and strength of technical officials in our Region. 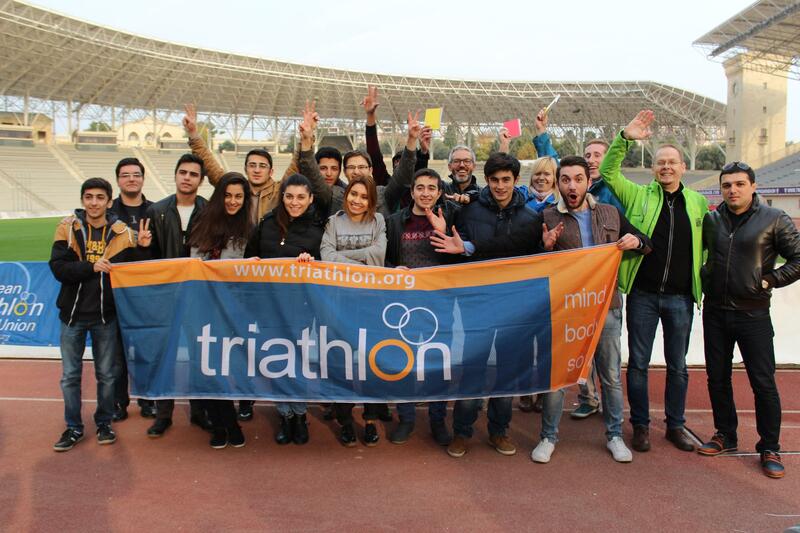 It will not just be International Technical Officials working at the triathlon. There will also be a core team of National Technical Officials. Including the medical delegate the team comprises 35 officials, of whom 10 are women. They will be joined by 10 National Technical Officials and the two Technical Delegates to make a team of 47. For all this trip will be exciting. For some, it will be another experience at a major event but for others it will be all very new, all very exciting and perhaps a little daunting. All of a sudden the big race has become even bigger and with the world watching our athletes, these officials will be there to help make the event safe and fair. ETU is proud of its technical officials and wishes them a Very Happy Christmas.